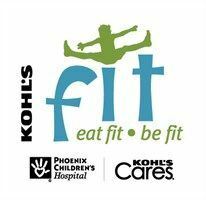 This is a FREE Workshop sponsored by Kohl's Fit, Phoenix Children's Hospital and Arizona Health and Physical Education. Family Members and Guest are welcome. Come join us for a GEOCACHING ADVENTURE to learn how to cache at Steele Indian School Park in Phoenix. We will be meeting by the Kohl'sFIT walking sign at the park. This is located by entering the park on 3rd Street and driving to the far North side of the parking lot. (300 East Indian School Road, Phoenix, AZ 85012).